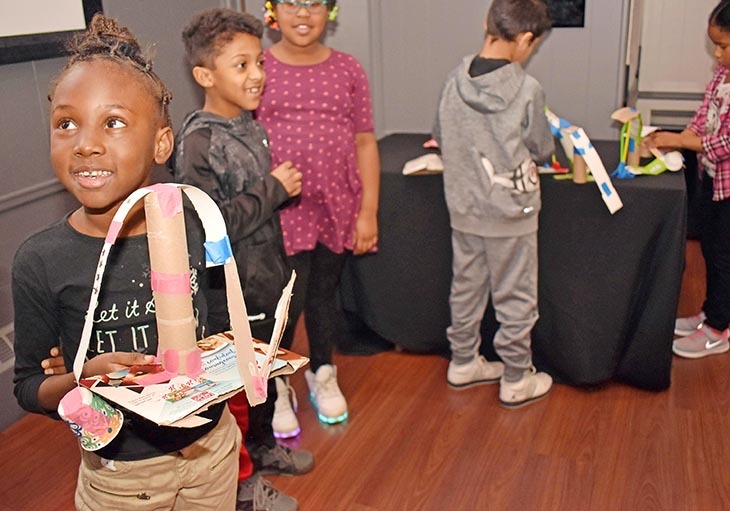 Then it’s their turn to use their imaginations coupled with an understanding of gravity and the strength in structures as they set out to make their own model roller coasters through the science center’s “Roller Coasters: An Inventor’s Journey” field trip. They’ll find that every twist and turn they make over the next 90 minutes of their adventure is going to reinforce the power of invention, the essence of change and the joy of success. Science is all around us. 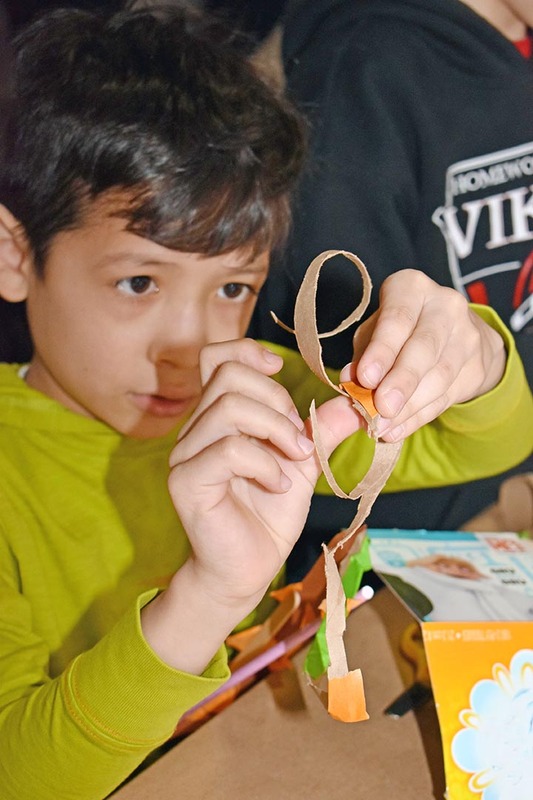 How to get kids to understand scientific concepts taught through the Next Generation Science Standards (NGSS) takes more than book knowledge. Hands-on learning is critical. But before the kids can start building, they need to think through their ideas. Their teachers have already shown them a film on the invention of the telephone — from the original crank model to rotary dial to push button and today’s smart phone. It’s a perfect example of creating and improving a product and the engineering skills behind it. The field trip opens with a video hosted by Massara Haseeb, a science center volunteer and an engineering student at Illinois Technical Institute. She’s taking them on an imaginary journey back 100 years where they meet John Miller, who lived in Homewood. The inventor worked at improving roller coasters and making them safer. Roller coasters date back to 1650 when ice slides were created in Russia. The first looping coaster was unveiled in Great Britain in 1842. The first successful coasters in the U.S. won fans in 1884 at New York’s Coney Island amusement park. In 1910, Miller designed a device that prevented roller coaster cars from rolling backward in the event of a pull chain breakage. It gives roller coasters the distinctive click-click sound as you go up the first climb. In 1919, he invented an underfriction wheel that runs under the track to keep coaster cars from flying off the rails. It’s a great way to get students to understand inventions and patents. Haseeb also introduces them to the importance of gravity and how Miller recognized that his coaster hills needed strength in their designs. He gave the structure plenty of cross timbers to stabilize the hills and dips. 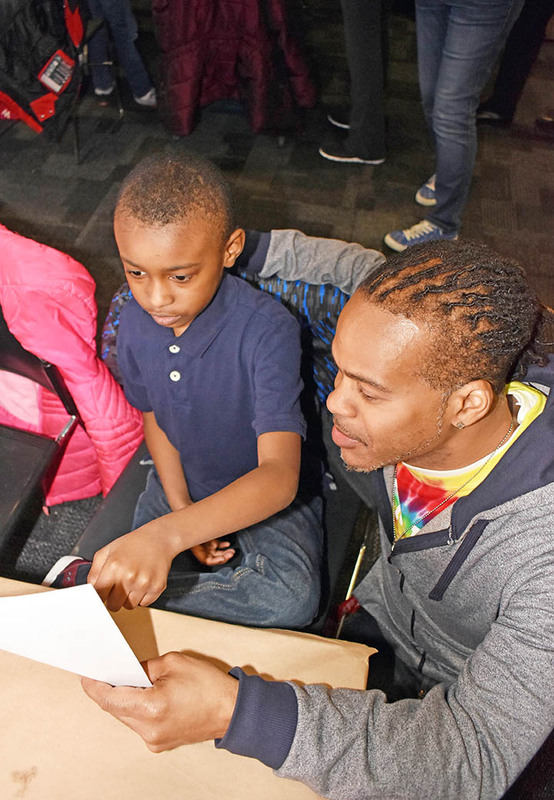 A science center volunteer gets the kids thinking about what they just saw: What are roller coasters made of? How do they go so fast? Then it’s time to take that 3D roller coaster ride. Students feel themselves climbing up, up, up the steep hill and then the race to the bottom brings out the screams of joy as their hands fly in the air. Sometimes for the fun of it, they take the roller coaster 3D ride again — just to reinforce the idea of structures, speed and gravity. With that knowledge in hand, the students are asked to write notes about what they observed on their roller coaster ride. The younger ones practice on a model inclined plane that has three surfaces — smooth, bumpy and rough. Using mini toy cars, they’re asked to test out which of the three lets the car go the fastest. Without a doubt, the smooth surface gives the least friction. Can they create what they think a great roller coaster should be? They break into groups of four or five and begin to brainstorm how they’ll create a roller coaster. Every group is given 45-minutes. 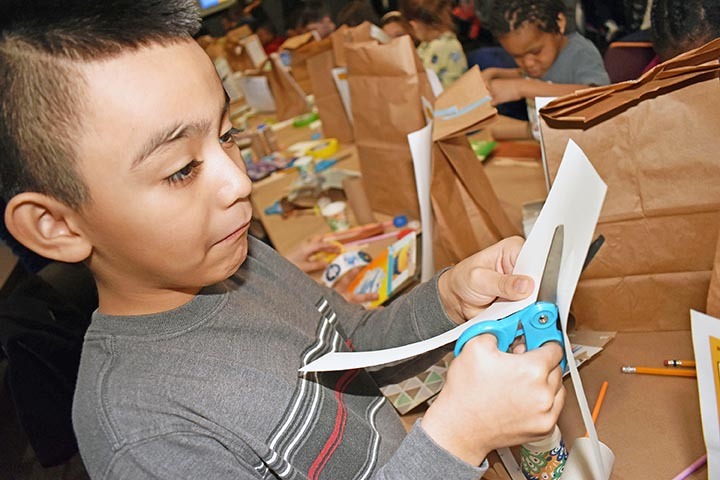 The older students work with a 2- by-4-foot board that’s the foundation for their creation. Younger students use boxes. 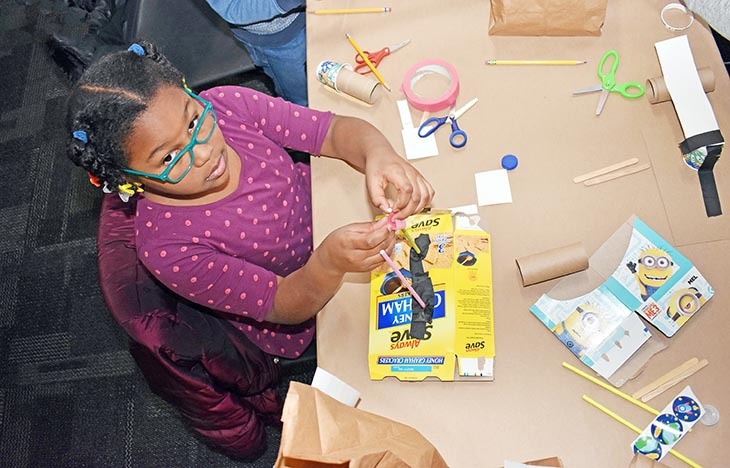 The roller coaster building construction kits include: pipe insulation, skewers, popsicle sticks, brads, Dixie cups, cereal boxes, straws, rubber bands, paper towel rolls, toilet paper rolls and bottle caps. Now they use marbles as coaster cars. There’s plenty of give and take. 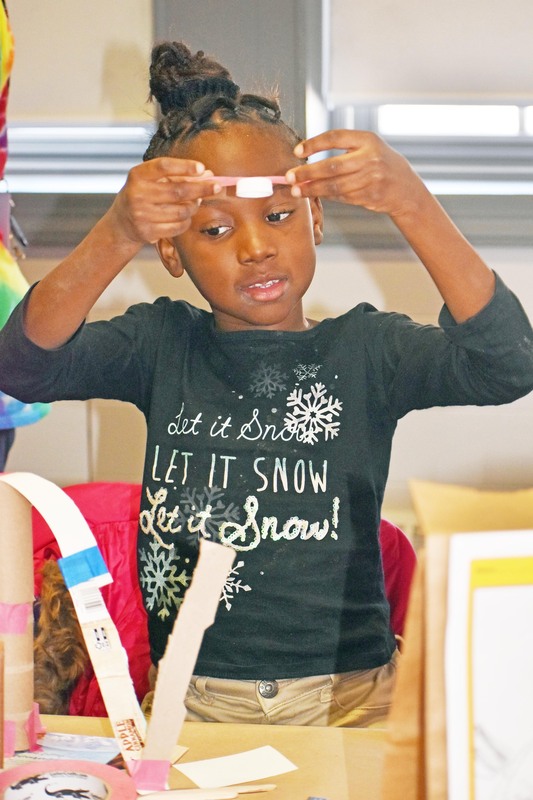 “The steeper one will go faster,” Javier Powell of Flossmoor Hills School told classmates. Some ideas work and some don’t. The students regroup and try another concept. How can they get it high enough to make sure the marble will slide down with plenty of speed? How can they make it turn? Will a paper towel tube be enough to hold up the track? Edie Dobrez, director of the Homewood Science Center, said the intent of the program is to have kids work in teams and to discover by doing. “It’s not failure if it’s not getting it to work. It’s discovery that’s showing students that,” she said. Facilitators will try and prompt them through questioning when they seem stumped, so they can regroup and try again. “That’s deeper learning then just being told,” Dobrez said. 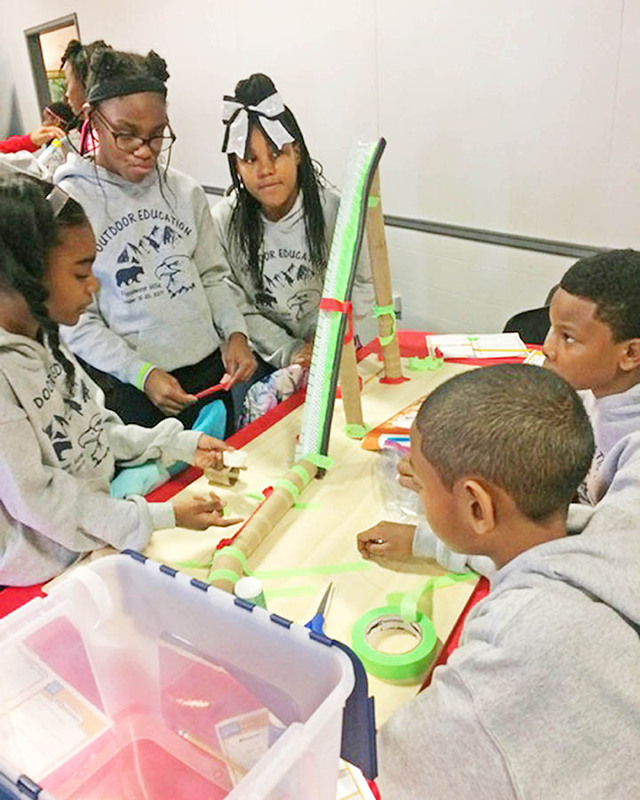 The Homewood Science Center roller coaster field trip is open to school groups throughout the Chicago area. 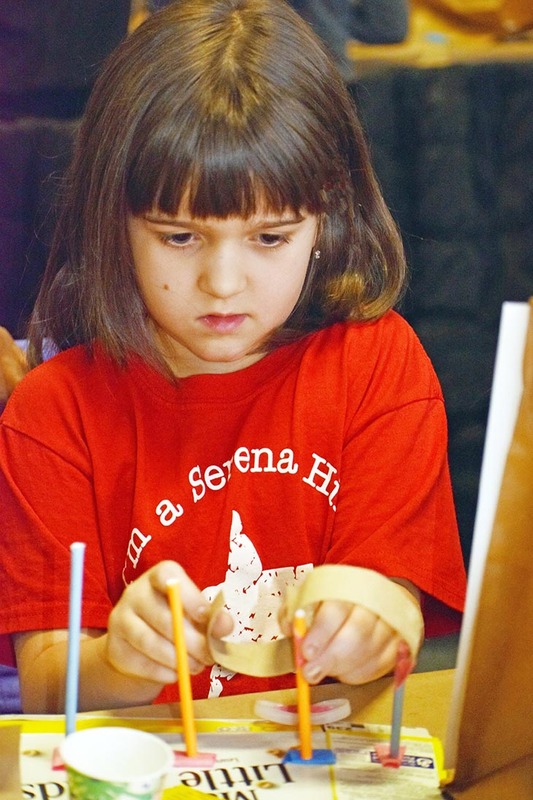 Outside of Homewood and Flossmoor, school groups have come from as far as Western Springs and Hickory Hills. The science center hosts 55 students each time the program’s offered on Tuesday, Wednesday and Thursday mornings. 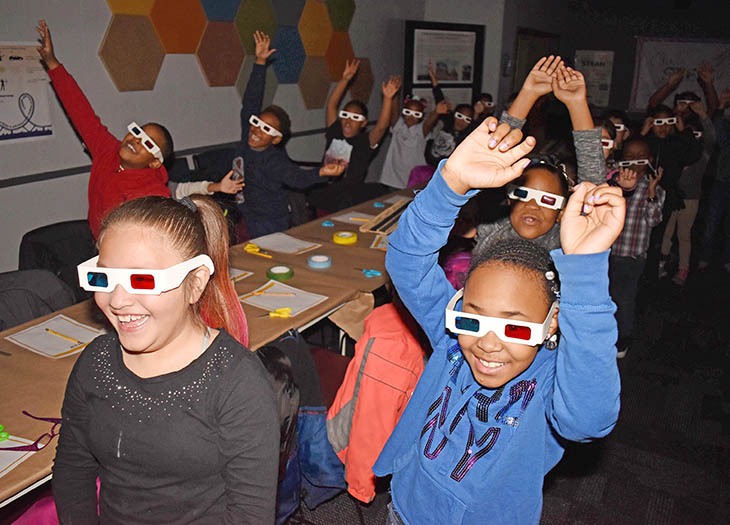 Thanks to a generous gift from the Great Lakes Bank Foundation, the science center has been able to accommodate all the groups that have been interested in taking part in the field trip. The gift also allowed the science center board to hire Kim Mitchell of Flossmoor to coordinate the roller coaster program. Her long-range plan is to have all interested schools bring their younger grades on an annual trip and have them return several years later as middle school students. The learning perspectives will be much different, and teachers can use the field trip for different grade levels of science. Flossmoor Hills fifth grade teacher Joelle Mulhearn was excited to have a science center locally. 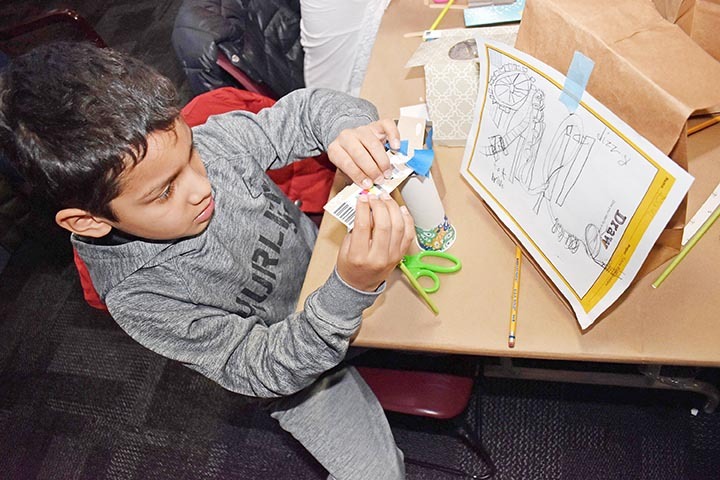 “This has been a great experience for me and I think for my friends, too!” said Serena Hills second grader Isaac Hernandez as he taped the final pieces to his roller coaster creation.